Delegate David E. Vogt, III was born in Tampa, Florida, 1984. He spent his youth in Florida. In 2002, David earned his high school diploma from International Baccalaureate School. He won a full academic scholarship from the University of South Florida. However, in September 2004, he left college and enlisted in the Marines Corpse for eight years until 2012. He currently lives in Brunswick, Maryland. He served as Legal Service Specialist and got to work in many areas of Military Law and Civil Law among others. In 2010-11, he joined a tour in Afghanistan with the First Marine Expeditionary Force. Shortly, Mr. Vogt attained the rank of Staff Sergeant in 2010 due to his hard work and diligence. In the same year, (2010) The Military Times awarded him the title Marine of the Year. David earned his Bachelor’s degree from University of Maryland in 2009, while on active duty. David obtained a Master’s Degree in Political Science from the American Military University. Mr. Vogt’s superiors in the Marines recognized his dedication to his country. Moreover, they awarded him for going above the call of duty. He volunteered for serving the community through projects such as Mothers Against Drunk Driving. His spirit of volunteerism was the main driving force behind his recognition as a leader. In 2014, David was elected to represent District 4 in Maryland House of Delegates. As a first-term delegate, David is battling to reduce taxes. He prioritizes national security and defends the Second Amendment. 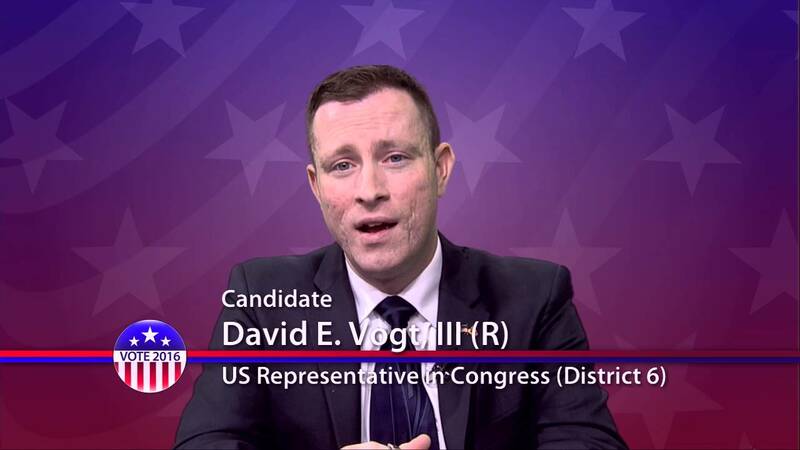 In the same year, Mr. Vogt ran for U.S. House to represent Maryland’s 6th Congressional District. He terminated his campaign. He did not want to run against fellow Republican, Dan Bongino. In 2016, ran again for the same position as the conservative candidate. The position that is currently held by John Delaney. However, Amie However defeated him. Despite having 30 other politicians endorsing him and MD Right to Life Endorsement. Some of his critics pinned his defeat on his opposition to “radical Islam.” As he is going to submit a bill (Homegrown Terrorism Prevention Act.) His critics say his bill is “against the constitution.” David is a lawmaker who understands the law. The bill’s purpose is to lift the tax-exempt status off organizations which support terrorism. David’s main concerns are cutting the national debt. He is working toward making Maryland a safe place for small business owners. He focuses on the private sector and ways to improve it. David has two sons Joseph, five years, Noah, three years, and a pet rescue dog, Stitch, six months. If you know voters in the 6th Congressional District of Maryland. Let them know about David, pass this blog post onto them. Ask them to take part in Delegate Vogt’s campaign. Tell them to support by financial or moral support. If you love your country now, it is time to show your love. David is a rare breed of military men. He offered his life to his country; he served his country on the battlefield and civil offices. He deserves your vote. Post written by Dr. Richard Gottlieb. His other works can be found on Vanity Fair, BBC, and CheckMaid.